How might teachers give and receive feedback from a phone? 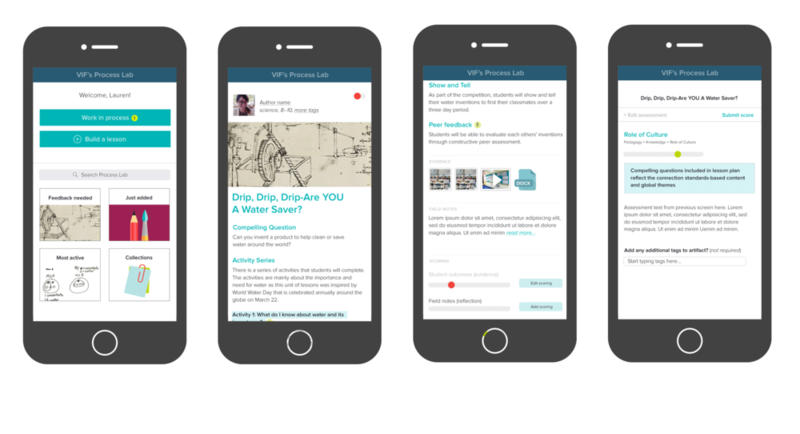 These UI explorations were created to explore the role of peer review in trusted environments as part of the DML 5 Trust Challenge grant. 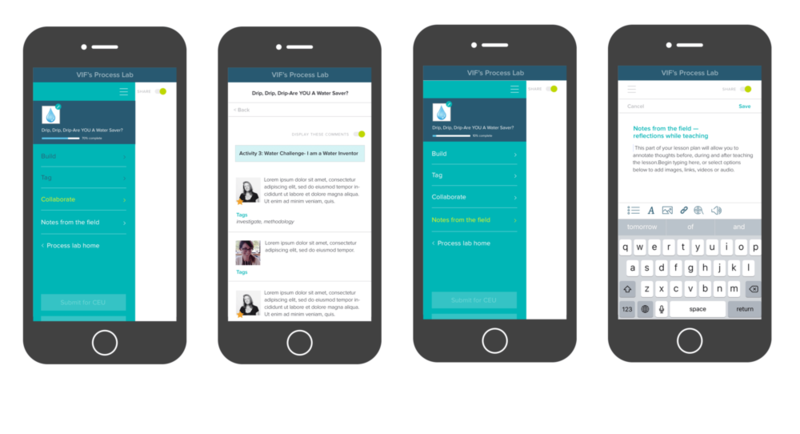 The app is designed to provide a space for teachers to build and share lesson plans, collaborating with their peers through in-line commenting, and eventually comprehensive peer review. This project was a collaboration with a senior academic researcher, a games-based instructional designer, and a software developer. Our team sent a project survey to roughly 5,000 educators who are part of VIF’s global programs, and out of these teachers, 800 offered answers/feedback to aid our exploration. In this survey, we inquired about teaching style, classroom habits and experience using VIF’s online platform and resources. We wanted to better understand the “why” behind teacher actions when engaging with the online social professional development community. We discovered pretty quickly that peer collaboration is one of the main motivations for teachers when it came to interaction in such a social community. 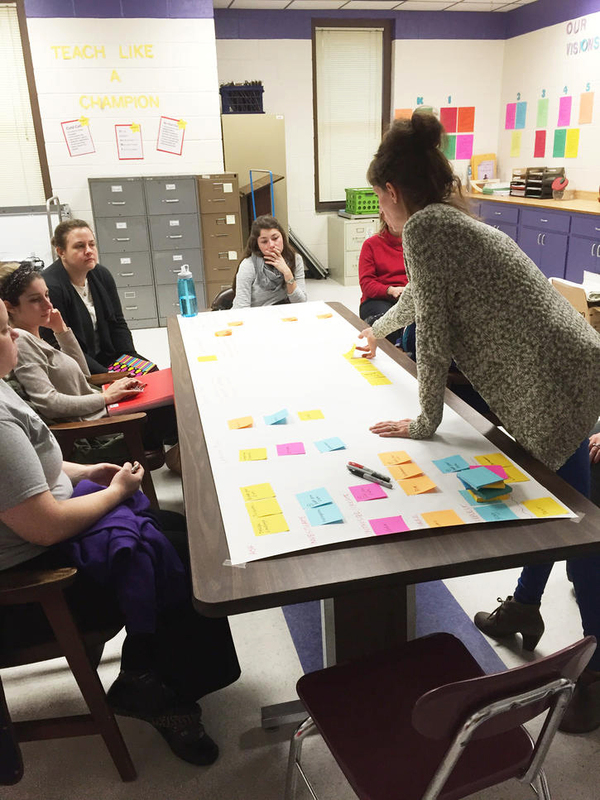 Teachers want personal connections they can develop and trust, and a social community that fosters this trust could open the doors to effective peer collaboration. Using a mobile device to snap evidence and jot quick notes from phone to roll into lesson planning later would prove valuable. Teachers value the ability to collect and remix content; this would draw in participation to the community around artifacts. To execute this well, content must be well tagged, and the more source credibility is clear, the better. Lesson plan building is limited by constraints in school or district protocols, and interoperability with existing tools would be the smarter approach to building. This ideation work was completed in summer of 2016, and ideas from these explorations are launching in the Participate platform in fall of 2017 with a pilot cohort of teachers. What we launched with was a much more scaled back approach, to see what behaviors live teachers and peer reviewers engage in, before implementing additional features to increase value. You can read some of my published writing on the user research, going out to facilitate ideation with teachers, and the final delivery of exploration.